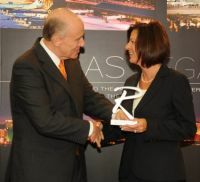 Brussels Airport triumphed as overall winner of the World Routes Awards 2012 and also took the European award. For the Americas Dallas Fort/Worth International Airport came out on top from the Americas region. From Africa Jomo Kenyatta International Airport, Nairobi was victorious whilst Ekaterinburg Koltsovo International Airport took first place in the CIS category. Singapore Chang won in the Asia Region. The bleak economic outlook in Europe means airlines can snap up slots at lower prices at Heathrow, according to a senior member of BAA’s network team. Sarah Whitlam, Network Development Manager, told delegates that while slot prices remained high “the economic climate offers the chance to buy slots at a lower price”. But Whitlam said that this situation was likely to change in the future and that “the value of slots is also likely to increase as the economic situation improves”. Whitlam said prices were currently “flat” having dipped since their 2008-high – when one airline paid US$207m for four daily pairs. The average now stands at £7m (US$11.3m for a daily slot, she said. Whitlam said the cost of a daily slot could be covered by adding just £4 (US$6.50) to the price of an airline ticket. She told delegates that slots should be viewed as assets which can be placed on an airline’s balance sheet, adding that their value would increase. An OAG market analysis report, published at the gathering discusses how the aviation market in the Middle East has become one of the fastest growing in the world. The report explored how the Middle East’s low-fare sector is growing apace, developing both a strong intra-regional market and expanding services to and from the Middle East. The Low-Cost Carriers (LCCs) now account for 20% of all flights within the region. This according to the report shows no signs of abating. LCCs have grown at an astonishing average annual rate of 52% in the last decade, compared to mature traditional carriers whose rate is around 7% per annum. United Arab Emirates’ (UAE) national carrier Etihad Airways is keen to expand its footprint in South America, according to its President and Chief Executive Officer, James Hogan. 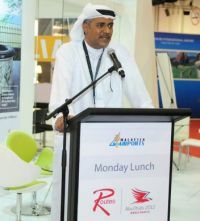 He confirmed that the airline is currently in discussions with carriers in the region about potential commercial partnerships as part of its global business model of establishing work arrangements with other operators. Etihad Airways currently has 38 codeshare partnerships with airlines around the globe, resulting in a combined network of 323 destinations, which is more than any other Middle Eastern airline. Beyond its own organic growth, codeshare partnerships and equity stakes are a significant and growing part of the airline’s expansion strategy. Etihad Airways holds a 30% stake of airberlin, 40% Air Seychelles, 3% Aer Lingus and 10%Virgin Australia. The airline will launch its first route in South America on 1 June, 2013, with daily non-stop flights between Sao Paulo, Brazil and its home base of Abu Dhabi, the capital of the UAE. Etihad Airways’ service will also provide connections from Brazil to the airline’s global network, offering connectivity over Abu Dhabi to markets in the Gulf Co-operation Council, the Indian Subcontinent and Asia. Mr Hogan spoke of the significance of the new route, in particular the economic impact: “Brazil is one of the fastest growing economies in the world, now ranking as the sixth largest since overtaking the UK in 2011. Bi-lateral trade between Brazil and the UAE is valued at nearly US$3bn annually, with authorities aiming to lift this to US$10bn within five years”. 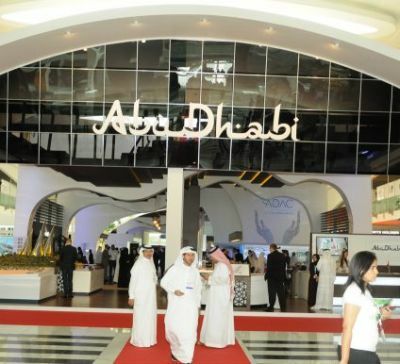 “There are 25 major Brazilian companies with offices in Abu Dhabi. Mubadala, the development company of the Government of Abu Dhabi, last year signalled its intent to begin investments in Brazil, valued at up to US$13bn”, he added. A surprise announcement was by the independently-owned Greek carrier Minoan Air revealing plans to set up a base at Oxford Airport, about 75 miles west of London, well located with nearby motorway links to the Midlands. Created this year the airline plans to base three Fokker 50 aircraft at the airport initially serving Amsterdam, Copenhagen, Dublin, Edinburgh and Munich. Planned first flight is in 2013. The new routes will be operated on a mix of daily and twice daily frequencies, according to Marcos Caramalengos, Chief Commercial Officer, Minoan Air, and will be introduced on a phased basis over a two to three month period in early 2013. 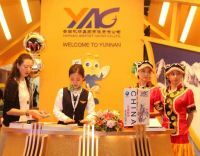 "The objective of the airline is to offer a premium service with no additional charges", he said. "The frequency and departure time for each route will be tailored to the requirement of the business passenger for each specific route". Ahead of its debut in the UK market, Minoan Air will start to operate 14 return flights per week from Kristianstad to Stockholm Arlanda as it embarks on growth in the Scandinavian market too. This route will be operated on a virtual basis on behalf of Flyglinjen Vatterbygden AB, although the Oxford network will be flown under Minoan Air's own brand.